RU? Instant Reaction Review Podcast Ep. 27 - Looper - Are You Screening? 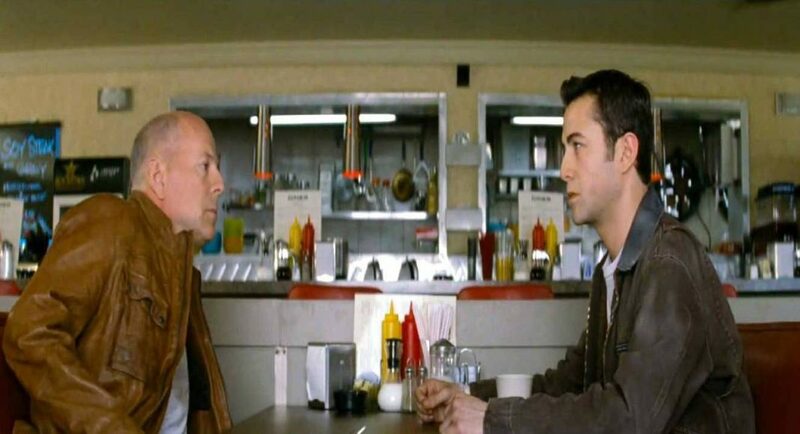 This week we took on Looper, which we loved, and it turned into an interesting show, as you might expect, because there were so many aspects of the film that we tried to stay away from. Bruce Willis and Joseph Gordon-Levitt were both amazing, and it would be difficult not to find writer/director Rian Johnson to have done an impressive job. Shane and I both say this often, but the ways this could have gone wrong and didn’t are so numerous that to dodge them all is a serious feat. That doesn’t sound as positive as it is, because it isn’t some fault of the film that it has these things built into it, it’s just a product of the genre and the story’s talking points. We both found a small part about 2/3 in that could have been managed slightly better, and likely would have been if Johnson had five or six more pictures under his belt, but even this didn’t amount to enough to budge our ratings. Five star films are rare enough, but to get us to agree on something being five stars is almost unimaginable. If you have caught this one yet, make sure you do. Not only is it a great film, and one that will have you talking for weeks to come, it’s worth the trip to the big screen. We had our moments with the time travel aspect itself, and even just the unavoidable problems with how it works in the film, but they were just more fun the film throws at you in the end. We also include a couple of interview clips with the stars and director, and they’re pretty fun. Possibly most interesting, though not exactly delving into the depths of the film, is Bruce Willis talking about the emotions of the film. It just isn’t what you’re expecting him to say. It’s certainly true though, as the emotions of this crazy circumstance take over, and the film really becomes more about the drives that get people where they end up than anything else. 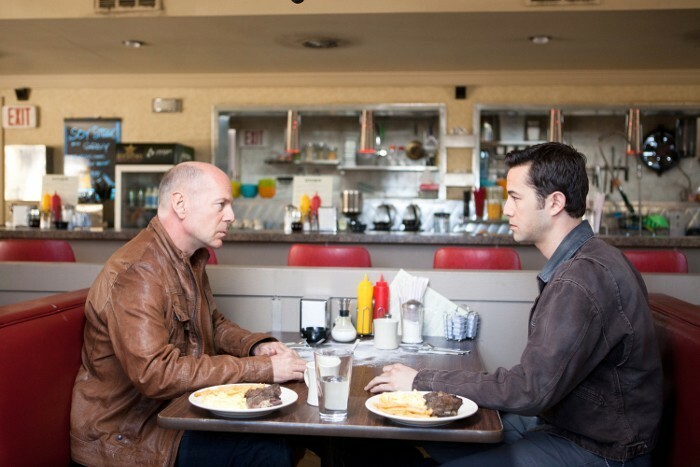 Bruce Willis and Joseph Gordon-Levitt as “Joe” in TriStar Pictures, Film District, and End Game Entertainment’s action thriller LOOPER. This week, we’ll be reviewing Frankenweenie, and we’re oddly hopeful… I think. Should be a lot of fun anyway.